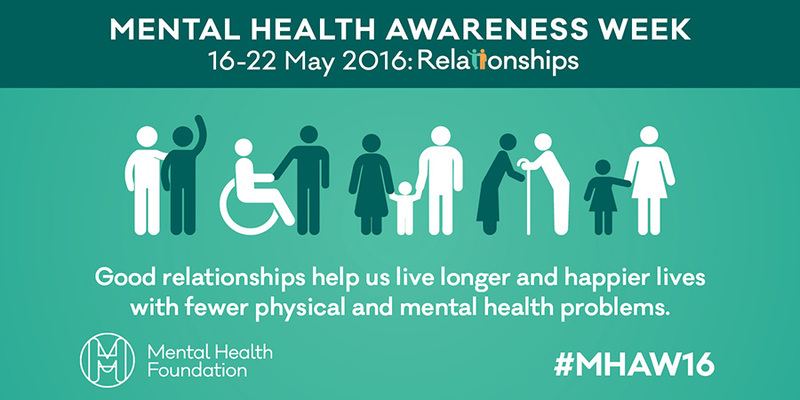 It’s Mental Health Awareness Week, and this year’s theme is relationships. Mental health is just as important as physical health, and here at Pharmacist Support we are always seeking to promote positive wellbeing. The Mental Health Foundation (MHF) say that relationships are a fundamental part of health and wellbeing; they believe that people cannot flourish as individuals and communities without them. Connecting with others and taking time to value our relationships helps to maintain a positive psychology. Being around like-minded people, spending time and having fun gives us a sense of belonging, and when things get tough these are the people who will be there for us. 1 in 4 people in the UK will experience a mental health problem at some point in their life, and yet mental illness is often surrounded by prejudice, ignorance and fear. This stigmatises people and can make it difficult for them to seek the help they need. It can prevent people from creating a network of support (through friendships and other positive relationships), leaving the individual feeling isolated, fearful and ashamed. Mental health is often associated with violence and therefore people with mental health issues are considered dangerous. All too often these stereotypes are perpetuated by popular culture, when in reality people with mental health issues are more likely to harm themselves. Campaign groups such as Time to Change and Heads Together are committed to eliminating this stigma and discrimination and share advice, stories and tips on their websites. Why not challenge your own beliefs about mental health or use the resources they share to educate others in your workplace, your friends and family. Taking care of our wellbeing creates a space for positive mental health.